Cleaning products are a source of exposure to toxic chemicals. Studies have shown that alkylphenols, a family of chemicals used as surfactants in detergents, disinfectants, and surface cleaners, are abundant indoors. Widespread exposure to alkylphenols is concerning because the chemicals are known to mimic the natural hormone estrogen. 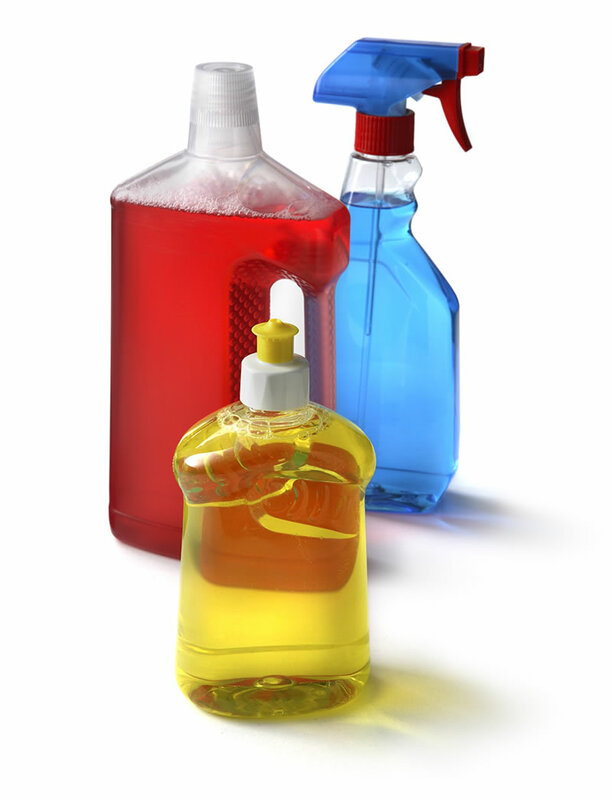 Avoid cleaning products that list alkylphenols on their labels. Try not to use commercial fabric softeners, which often contain undisclosed chemicals and harmful fragrances. Instead, go natural. Soften your clothes by adding a cup of baking soda to your clothes in the washing machine or a ½ cup of distilled white vinegar to the rinse cycle or fabric softener dispenser in the washing machine. Choose cleaning products made with plant-based or natural ingredients, and clean with microfiber cloths or damp rags to reduce your reliance on cleaning products altogether. Reusable cloths and damp rags lift dirt, grease, and dust. What's more, they're machine washable and can last several years.